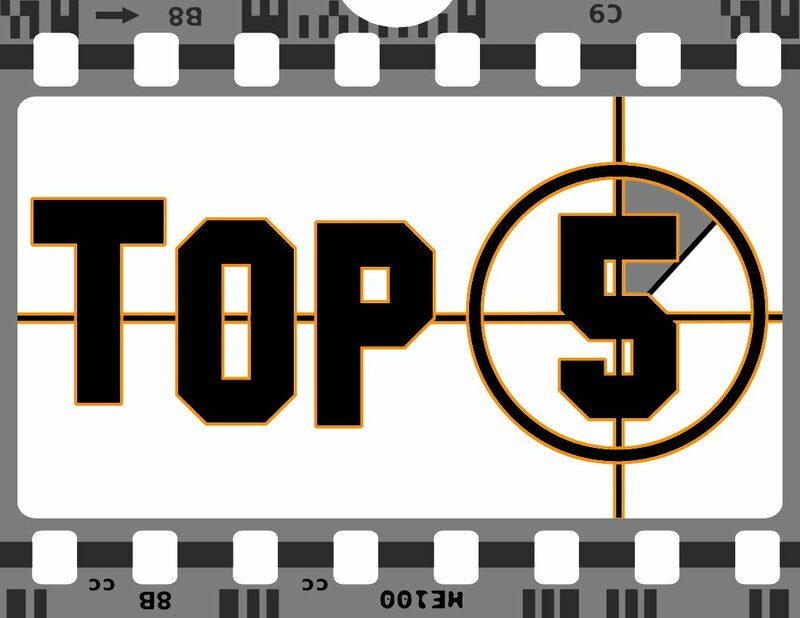 Recently, my girlfriend and I got into a little game of “Top 5.” You know, top 5 Wes Craven films or top 5 Full Moon movies. As fate would have it, it was about this time that Justin Hamelin asked me to contribute to a Top 5 project of his own for Mangled Matters. Of course, the topic was top 5 horror movies. Not only that, we have to give a reason why. This is not an easy list to make. I could make a top 5 list using the movies of a single director, quite easily. The thing is, while that may be pretty close to true, it does not tell the full story. It is not an easy thing to do when you love so many horror films, not to mention the variety of horror films that are out there. With a list that can change with mood and time of day, do I pick a representation of the different horror sub genres? Do I pick multiple films from the same director? Ask me another time, I may give you different titles than what you see below. What you are about to read will have numbers but are not in any specific order. They will all be loved horror films and if you aren’t familiar with all of them, I highly recommend that you rectify that situation. Anyway, on with the show! 1. The Beyond. If you know me, you know that I love some Lucio Fulci. I could probably complete this top using only Fulci films. This is my favorite of his, although a couple others come close (City of the Living Dead and Don’t Torture a Duckling come to mind). I love the surreal nature of this film, how the narrative is carried by the succession of images rather than by logic. It really is like stepping into a nightmare from which there is no way out. This is a frightening film that features some crazy gore, an incredible score, and likable lead performances. It is also a movie that rewards successive viewings, I do not feel any closer to unraveling all it has to offer, but each time I see it, I notice something I never saw before. I have seen it projected off 35mm 4 times and countless more times at home. It is always a treat to watch, and one of my all time favorite horror films. 2. The Texas Chainsaw Massacre. This movie always seems to be a given when it comes to best/favorite/scariest horror films. It is not without good reason, it is one of scariest, grittiest, most terrifying films ever made. More than that, it is one that stands the test of time and still carries with it that overwhelming sense of dread. This is one of those movies that gets me every time I watch it. When Leatherface hits that guy with the meat tenderizer and slams that door shut…. Chills. Yes, I loathe Franklin, but that is a small price to pay for a movie that feels so real. This is another one of those movies that I will never get tired of watching. 3. The Thing. You know that John Carpenter had to make this list, but I feel like the go to horror film for him would by Halloween. Don’t get me wrong, I love Halloween, but there is something about The Thing that puts it in the upper echelon of not just horror films, but all films. For one, there is the amazing cast led by Kurt Russell and Keith David, then there are the jaw-dropping practical effects by the team led by Rob Bottin, and then there is the craft that Carpenter brings to it, the sense of helplessness, the feeling of being trapped, the fact that there is no way out. It is all carried through to that deliciously ambiguous ending. Oh, and let’s not forget that great Ennio Morricone score, even if it sounds more like Carpenter than Morricone. 4. The Bride of Frankenstein. You have to have a classic piece, one that you can go to that contains the true roots of horror cinema. The funny thing is that I only saw it for the first time a few years ago. It quickly became my favorite of the classic Universal Monster movies. You can also trace the misunderstood monster, the sympathetic bad guy back to this film (I am sure there are more literary sources, but so far as cinema goes, this has to be one of the first to come to mind). Karloff brings such power, menace, and sadness to the Monster, you can see his influence over characters such as Leatherface, who always had that sad and sympathetic nature to them. But they will always be the Monster, and bad things will always happen when they are around, just look how the Bride reacts to him. This is truly one of the greats. 5. Cemetery Man (aka Dellamorte Dellamore). I began with the Italians and will close with the Italians. This is one of my all time favorite zombie movies. It was directed by Michele Soavi, a protege of Dario Argento, who also worked with Lucio Fulci and Lamberto Bava. This falls in line with the surreal more than outright terrifying. It features a rather morose lead character who deals with zombies in such a matter of fact fashion, it is like no big deal to him. However, his very existence is thrown for a loop when love enters his zombie filled inner circle. It happily coincides with his losing touch with sanity. This is a surreal, gore filled horror fantasy that will keep you involved until the final moments, which will also be sure to have you scratching your head. This is a great looking movie, it is a thing of beauty to watch. That about wraps it up. The funny thing is that this barely scratches the surface of the great horror films. 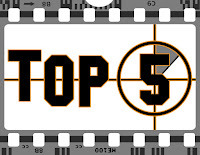 Ask me for a top five on another day and you might find Alien, Dawn of the Dead, Jaws, A Nightmare on Elm Street, Cabin in the Woods, Evil Dead II, City of the Living Dead, Suspiria, The Devil’s Rejects, The Shining, Trick ‘r Treat, or any of a number other horror films. It is the genre that keeps on giving.